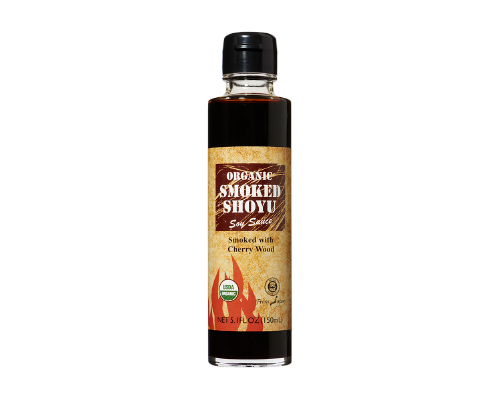 "From Japan" organic smoked shoyu is naturally crafted and smoked using cherry wood chips rather than adding liquid smoke additive. The organic shoyu itself is artisanally made in the Izumo region of Japan, an important sacred place in Japan with crisp and clear Hamayama spring water. Our smoked shoyu elevates flavors in foods like dipping sauces for sushi or flavoring grilled dishes by exquisitely joining umami with rich smokiness.